It’s that time of the week when we take a look at the weeks new releases, here’s our US Blu-ray Round-up October 3 2017. 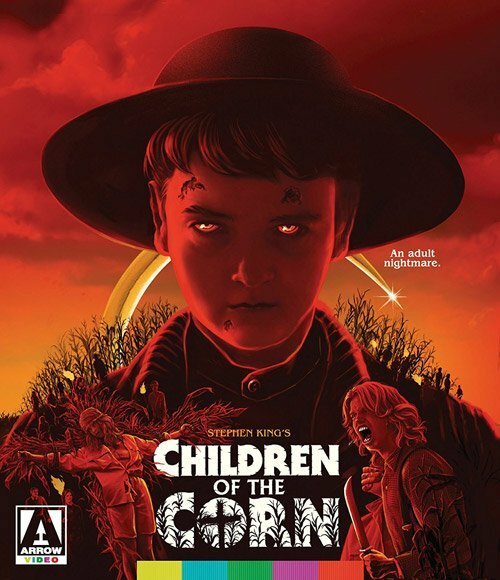 If you happen to be a fan of Stephen King’s Children of the Corn you are in for a treat. Arrow Video has a US only special edition Blu-ray out today. But that’s not all from Arrow as they also have the Italian giallo film directed by Lucio Fulci, Don’t Torture A Duckling (1972) appearing on Blu-ray. If that’s not for you how about the horror movie 976-Evil (1988) directed by horror legend Robert Englund. Universal have Cult of Chucky (2017) plus a Chuck 7 movie boxset that should keep you going until Halloween. Meanwhile Mill Creek Entertainment has a 50th Anniversary version of Night of the Living Dead whilst Lionsgate have a couple of releases including A Ghost Story (2017) and The Divergent Series 3-Film boxset. Switching to television and season five of House of Cards is out this week along with Vikings: Season 4 Vol 2. So there’s our US Blu-ray Round-up October 3 2017 with a couple of decent releases.